"I remember seeing her and I was like, Oh my god, like Fantasy and Honey, recalled Alex Pall. And she was like, Dude, I love you guys." "I remember seeing her and I was like 'Oh, my God. "Fantasy" and "Honey,"' and she was like, 'Dude, I love you guys,'" Alex told the hosts. "And we're like, 'Wow, you know who we are?' and she was like, 'One Direction, right?'" Cue the hysterical laughter from everyone in the room, including Alex and Andrew themselves. 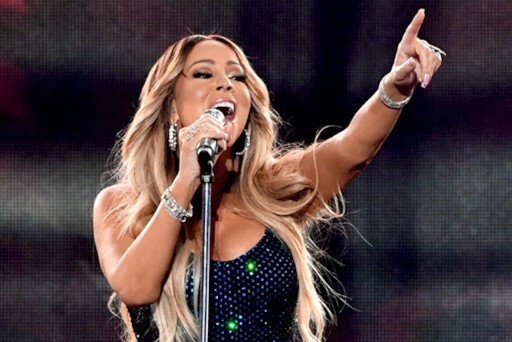 There's no doubt that experiencing something like that was a tad embarrassing for all parties involved, but Mariah being the queen that she is responded to a clip of the interview on Wednesday to poke a little fun at herself and the group. "@TheChainsmokers of course I know you!! I love your song 'That's What Makes You Beautiful," she tweeted, jokingly alluding to One Direction's 2012 song. It looks like Carey realized her mistake as she tweeted a video of the interview. The "Hero" singer showed that she has an incredible sense of humor by joking that she loves The Chainsmokers' song, "What Makes You Beautiful." As you probably know, the track was one of One Direction's hits. Carey caught wind of the clip and responded on Twitter on Wednesday night, poking fun at herself with a tweet that read, @TheChainsmokers of course I know you!! I love your song Thats What Makes You Beautiful,' referring to the 2011 One Direction single. I was like Oh my God. Fantasy! Honey! And she was like Dude, I love you guys!, said Alex Pall, who explained that he was shocked that a mega-star like Carey knew about The Chainsmokers.